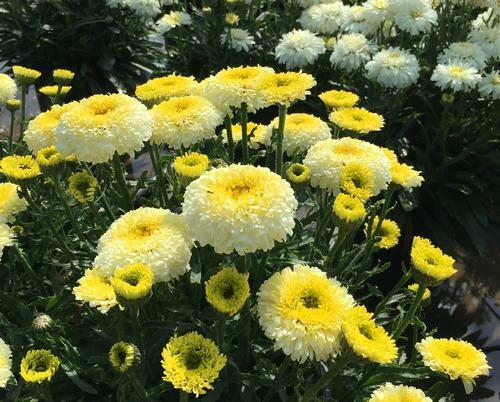 Medium height with tight clumping habit, large flowers have 3 layers of greenish-yellow petals and large golden centers, yellow petals gradually fade to white as the flower matures, very floriferous with improved disease resistance. Unique green flower buds will open to golden-yellow blooms that won't fade, tight clumping habit of small dark green leaves, improved disease resistance. 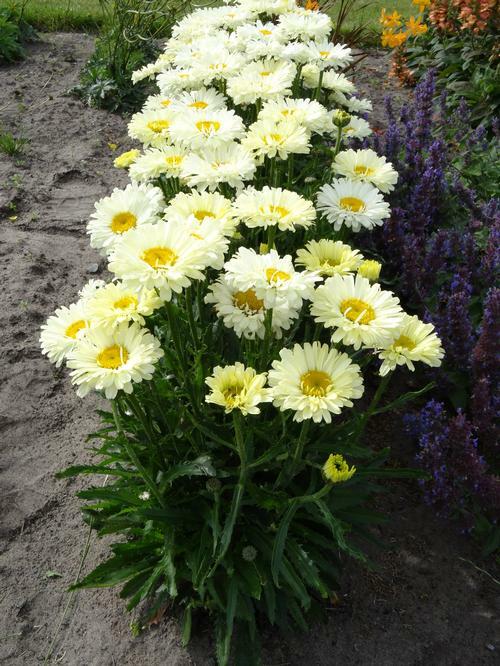 Wonderful summer-blooming perennials with large daisy flowers. Prefers well-drained soil in the sunny border. Deadhead to encourage continuous bloom.